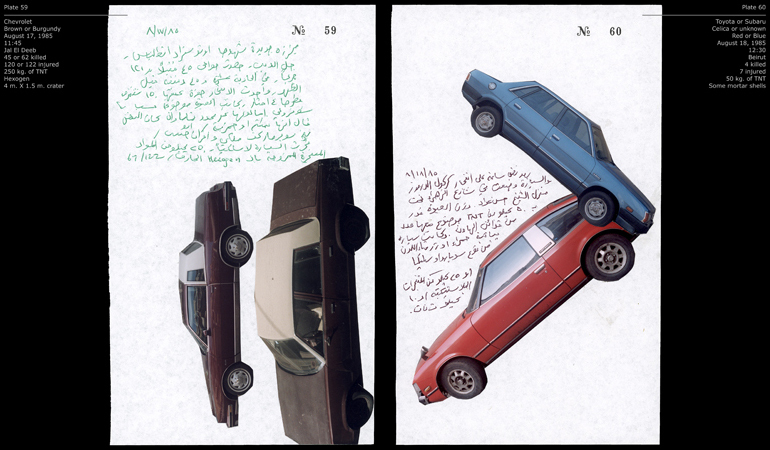 Walid Raad is a Lebanese artist who, under the name “The Atlas Group” exhibits a collection of documents related to the wars in Lebanon from 1975 to 1991. The documents range in format from photography to video, and each more or less addresses some aspect of effect of the wars. Each set of documents is also accompanied by a story. 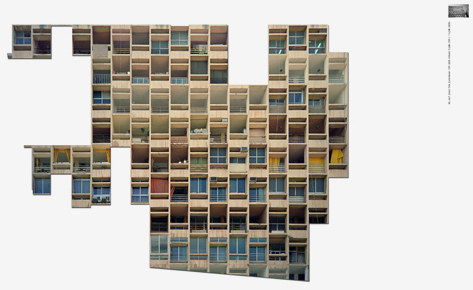 In the collection titled “The Thin Neck Files,” Raad produces a series of 50 photographs of engine blocks surrounded by a group of people. 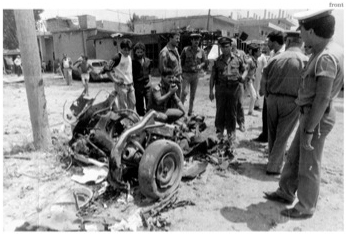 The story goes that when a car bomb explodes, the only piece remaining intact is the engine block, which is often thrown hunders of feet in any direction. With the more than 3,600 bombs detonated over the course of the wars, there developed a competition between reporters to be the first to photograph the scene when the engine was found. 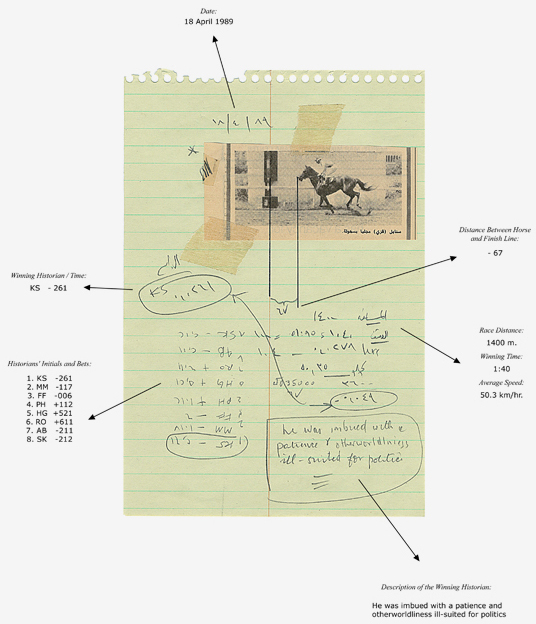 “It is a little known fact that the major historians of the Lebanese wars were avid gamblers. It is said that they met every Sunday at the race track — Marxists and Islamists bet on races one through seven, Maronite nationalists and socialists on races eight through fifteen. 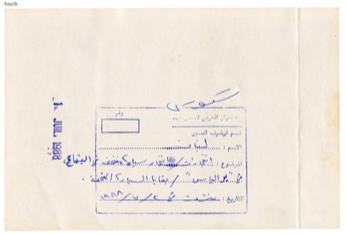 The documents presented by Raad serve to show the different aspects of the wars, and how they affected the city of Beirut and the national psyche. Although not at first apparent, all the documents are completely fake. Raad’s explanation is that the wars, now 20 years past, are still completely denied by the government, and no official accounts exist of what actually happened. Thus, a fictional archive such as that of the Atlas Group is actually a more realistic portrayal of the wars than the official history. This is very interesting for our project because it shows how fiction can serve to create a deeper understanding of a situation, especially when dealing with sensitive issues like war. It also uses formats typically reserved for factual accounts to create alternate scenarios of the past. We can use similar techniques of fictional documents, news reports, documentaries, etc., to produce a vision or representation of our scenarios for the future. 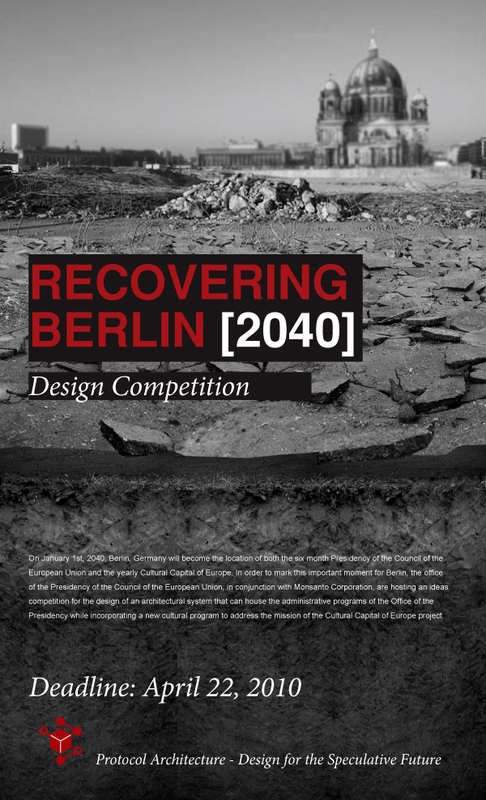 It would also be interesting to use the same tools to critically examine the past and highlight those aspects that have an affect on our future scenarios. I highly recommend checking out the complete archives online or checking out the show if it comes around. “The House today overwhelmingly passed a bill aimed at building up the United States’ cybersecurity army and expertise, amid growing alarm over the country’s vulnerability online. Video demonstration of the XerXeS DoS attack as it is unleashed on the Taliban website http://www.alemarah.com, and carried out by infamous patriot hacker The Jester (th3j35t3r). Universities must investigate measures, including random dope testing, to tackle the increasing use of cognitive enhancment drugs by students for exams, a leading behavioural neuro scientist warns. Student use of drugs, such as Ritalin and modafinil, available over the internet and used to increase the brain’s alertness, had “enormous implications for universities”, said Barbara Sahakian, a professor of clinical neuropsychology at Cambridge University’s psychiatry department. The living room is where the product is made and you are the product. We quickly forget what our purpose in life is as soon as we are programmed by the system to behave certain ways and most importantly purchase in certain ways. Our behaviors are not judged on how we perform and think anymore, rather they are on what we are able to buy and what we own. We are trying to find a spontaneous way for the individual to be able to break away from syntactical structures and explore the contents of the human recording machine.